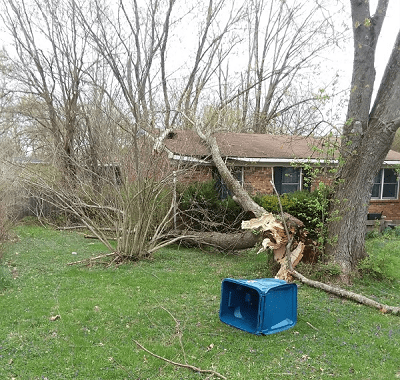 A tornado touched down in Oldham County and was on the ground for just over eight miles. The EF-1 tornado, packing 100 miles per hour winds, touched down Friday morning at 6:45 and inflicted widespread damage to trees and homes. The twister was approximately 300 yards wide, according to a National Weather Service damage assessment team. Officials said the tornado, which struck near Crestwood, remained on the ground for about nine minutes.